»Blog Posts»Sign Soror Vanessa Bell Calloway’s Birthday Card!!! Your style and grace is sought after. You have a simple sophistAKAtion that many attempt to achieve, but never find. You are an exemplary woman, role model, mother, soror, and friend. So on this day – your 56th birthday – we send sincere, sisterly greetings and well wishes to you! We hope all your future dreams come true. You make 56 look OH SO PRETTY!! 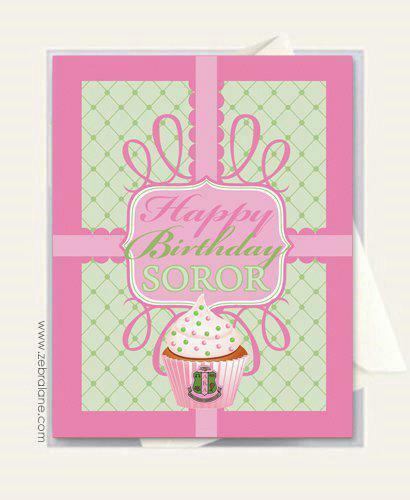 Comment Below to Sign Soror Calloway’s Birthday Card. Happy Birthday, Soror! God bless you! Happy birthday dearest Soror Vanessa, you make 56 oh so PRETTY!! Have a FAB day with lots of great vino!! Happy Birthday Soror!!! I hope it is as fabulous as you are! Vanessa: You were so nice to me one time and I so appreciated it! Happy Birthday Soror! Many more to come too. Happy Life Day Soror. Enjoy your day. Happy Birthday to our Beautiful Soror! AKA Love! Have a wonderful birthday Soror Nessa! Continue to represent. Wishing you an awesome birthday!!! Enjoy your birthday, Soror. Celebrate! Happy Birthday Soror – praying I look as great as you when I turn 56, may you be Blessed with many more. You look great … “Oh so pretty”! Happy Birthday Soror Vanessa! You look FABULOUS! Enjoy your day! Happy, Happy Birthday, Soror Vanessa! We are so proud of you and your fabulousness! You are truly an inspiration to us, and we love you dearly! Please continue to celebrate your fabulousness!